Allium oreophilum (pink lily leek). 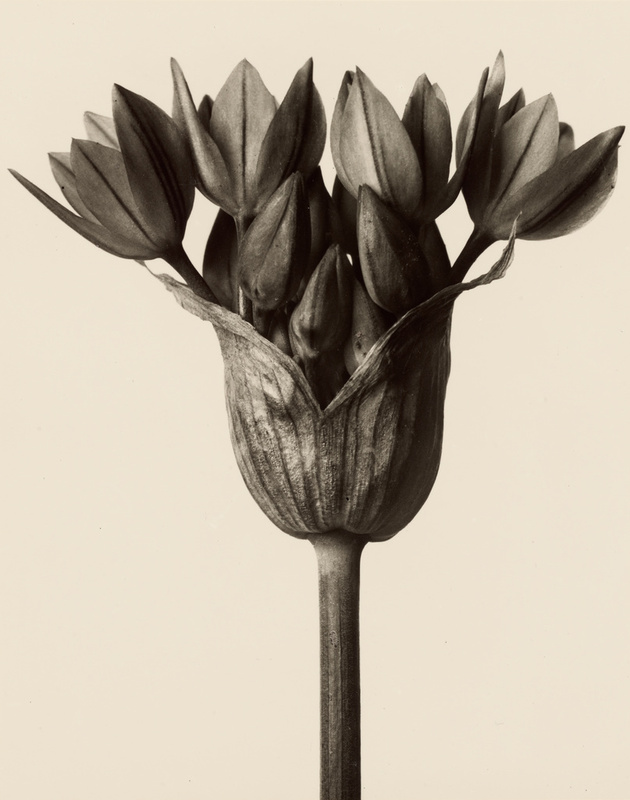 Image of Karl Blossfeldt's gelatin silver print Allium ostrowskianum. Allium oreophilum, common name pink lily leek, is a plant with a long, thin stem with tulip shaped petals and multiple tear-drop shaped leaves blooming out of the opening.